The 2018-19 NFL and College Seasons have come to a close. We are the #1 ranked College football handicapper all time at the sports monitor in units earned and money won in both sides and totals. Also we hold the accolade of #1 ranked College & NFL Combined handicapper in profit earned all time against handicapping services that actually have the guts to have their sports picks documented. We have the highest units won in the Ultimate Handicapping Challenge, beating out all other handicapping services. Thanks to all on board for a fantastic football season, will have the early bird package posted something in the summer for next years NFL & College campaign. 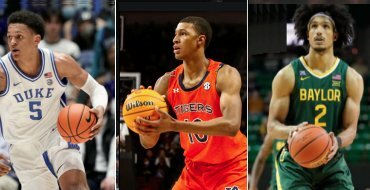 The 2018-19 NBA & NCAAB seasons are here. What does this mean for Maddux Sports? It means we are locked and loaded for another wallet stuffing season. 2017-18 season was another successful campaign for the maddux sports client base with $100 players netting over $49,000 in profit, this after the 2016-17 season which was another successful campaign for the maddux sports client base with $100 players netting almost $58,000 in profit. We own the title of most profit earned ALL TIME vs all other handicapping services that have the guts to have their picks independently monitored as we are #1 overall in profit earned for NBA and College Basketball picks combined. In fact just like we hold the title of best documented college football season ever at the sports monitor we can now add the accolade of the best combined basketball season at the sports monitor in addition to the all time leader in profit earned. To be clear there was no one that had a better basketball season than Maddux Sports the last 5 years and if they tell you they did they are flat out lying!!! Season members also get the benefit of added picks we release after line movement, late breaking injury info, and other factors that contribute to new value in the marketplace. The full basketball season package has been reduced to only $399 which is a great value to anyone betting basketball this year. On a nice run currently for long term members and its been a very good start to the basketball season with dime players up over $80,000! For Today we have 1 Basketball Picks with the possibility of added picks if lines move towards sides/totals we like in the AM. As always these picks are guaranteed to win or the next days basketball picks are sent free of charge. The 2019 MLB season is here. The full season package is only $499 which is a great value to anyone looking to build your bankroll for football season. For Today we have 0 MLB Picks with the possibility of added picks if lines move towards sides/totals we like in the AM. As always these picks are guaranteed to win or the next days baseball picks are sent free of charge. We are now providing the daily free picks via our email newsletter vs on the website. 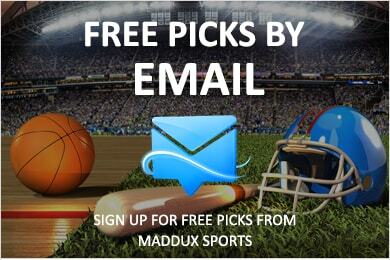 Enter your email address above to sign up for free picks sent to your email to receive Today's Free Pick! Enter your email address today and start taking advantage of these free winners! Before you sign up you for free picks you may want to read our free sports picks article to make sure you have realistic expectations and that our free picks will be beneficial to you. BET OUR FREE PICKS AT BOOKMAKER! For all sportsbook reviews visit the Sportsbooks Reviews section.